The rest of our days in Southern France were spend exploring the region, taking day trips (out of our home base of Marseille). 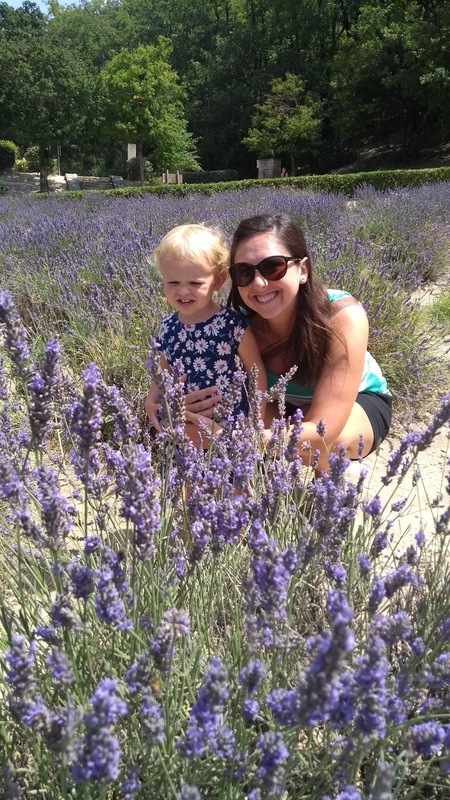 Trevor and I had both wanted to see the Provence region of France, specifically during lavender season as this area is known for lavender -- and it was wonderful! Famous Roman aqueduct that is one of the best preserved ancient aqueducts (and also highest). We stopped here on our very first day on our way to Lyon and it was the perfect introduction to France. And it was amazing. 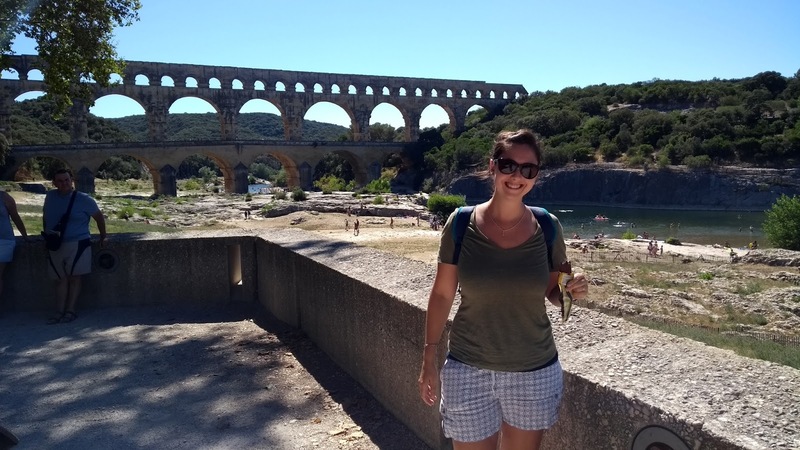 I am not sure what we were expecting but the whole experience of Pont du Gard was fantastic. While very touristy, it was also very local. You do have to pay to enter the whole complex, but there are different price points based on what you want to do (anything from just going down to the river to see the aqueduct to walking across it). With our toddler, they recommended we do the aqueduct and museums. The whole complex is mostly a large park with various hiking trails and a few places to eat (in addition to gift shops and touristy stuff at the entrance). This place could not be more toddler friendly and we wish we had spent the whole day here. Locals come for the amazing place to swim; where the aqueduct crosses the Gardon river it is a nice calm area with a great rocky beach -- perfect for a day hanging out in the sun and water. And if that wasn't enough, there is an amazing kids museum as part of the complex -- we had to drag our sweet girl away! For more information visit the Pont du Gard website. This was our stop on our way back to Marseille and once again, we wish we had more time (and had also gone on a day other than Sunday...). 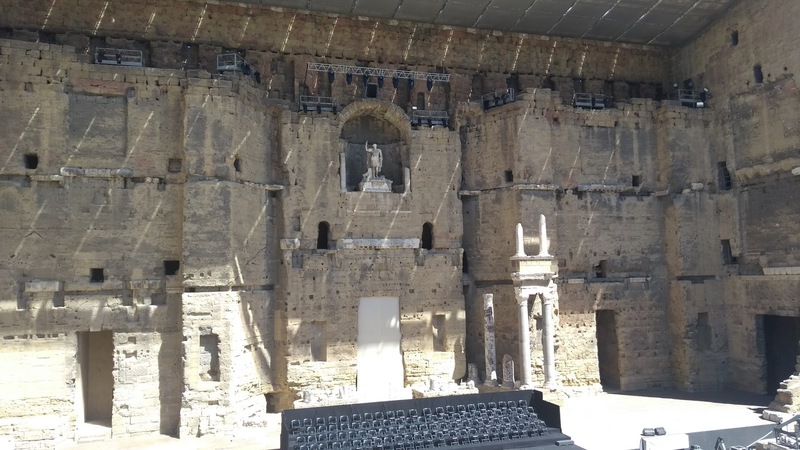 This small town is known for its unbelievable Roman theater -- it is only one of three intact ancient theaters in the world and it is massive, designed to seat 10,000. In the summer, the theater hosts music concerts, so once again it was impressive to see an ancient theater set up for a modern concert. The theater was not so toddler friendly (insanely steep steps), so I wore her for most of the time here. Orange also has more to offer, but we only had a short amount of time, and the theater was definitely worth it. Another small town, this one known for its car-less streets and amazing old castle at the top of the hill town. So while this stop was worthwhile, it was also a little rough -- insanely steep hill town (parking only at the bottom), so very crowed and oh so hot. The actual town is very touristy but the castle ruins are pretty amazing. It is quite expensive to visit the castle, but they do various reenactments so try and time it right to see some (we did not, but oh well) and the views are worth it. And most definitely not stroller friendly, so we wore the Peanut or she walked. Another small hill town, this one known for its Roman archaeological sites + ruins as well as its thriving Tuesday market. The town is divided into two parts -- the modern lower town and the ancient castle above the town. We figured we could see the archaeological site while also experience the market. We had been told to arrive early for the market, but we happened to be on toddler time so of course we arrived super late... However, it worked in our favor as it was so so packed with people and we managed to arrive right about when those who came early were leaving, so we found great parking. I am not sure what we expected, but wow -- the market was insane. Wall to wall people, wall to wall stalls of pretty much anything you'd ever want: it was a mix of a farmers market. gypsy market and craft fair. And it was crazy and amazing and huge (we probably only saw half the market)! It was so busy that we didn't even realize that we walked right past the archaeological sites until the market was over and people were packing up. Sadly by this time we were over the heat, hungry and needed to move on to our next stop.... so we missed out on the sites but the market was worth it! So for sure go for the market and either be prepared to stay after the market closes (about 1pm) to see the sites or go only for the sites! In terms of being toddler friendly, if you go to the market later when it isn't as busy, then yes -- easily toddler friendly but many of the stalls have products at perfect toddler grabbing height, so just be careful! We used the stroller and didn't have any problems navigating around with it. This was hands down my most favorite small town I have ever stepped foot in -- it was so picturesque and French; I loved it. It is known for its antiques and its many working water wheels. 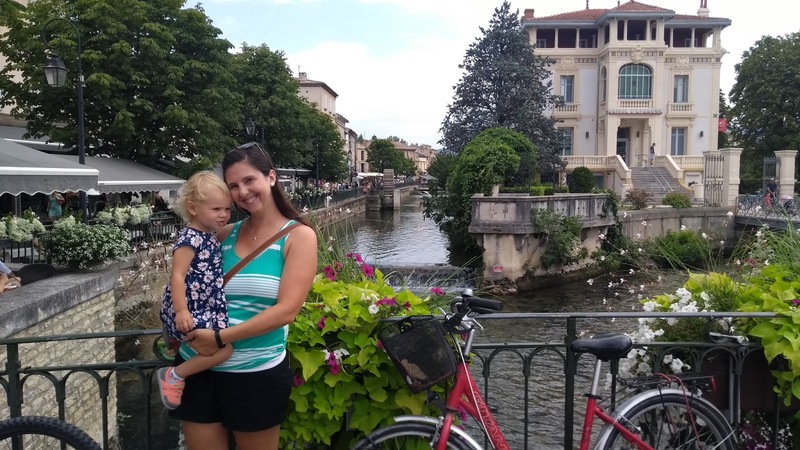 The Sorgue river surrounds the town, including various canals and waterways winding through the main part of town. The tourism office will give you a map including a walking guide to see all the water wheels (and also has coloring set up for the kids). This town was perfect to just walk, explore, grab a pastry and some coffee or enjoy lunch along the river. Make sure you park outside the main part town (there was plenty of parking available in the parking lots). And very toddler, stroller friendly -- we had to pry our sweet girl away from the coloring at the tourist office! The biggest town we visited on our day trips. Arles is famous for having Vincent Van Gogh live here and take inspiration from the town for many of his paintings. 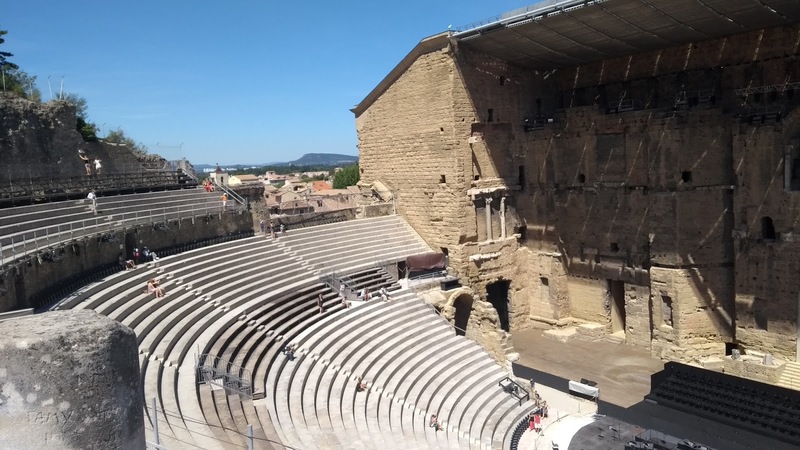 Sadly, much of the town was destroyed by bombs in WWII but the Roman arena is mainly intact and pretty impressive (nothing compared to Nîmes' arena but still cool). 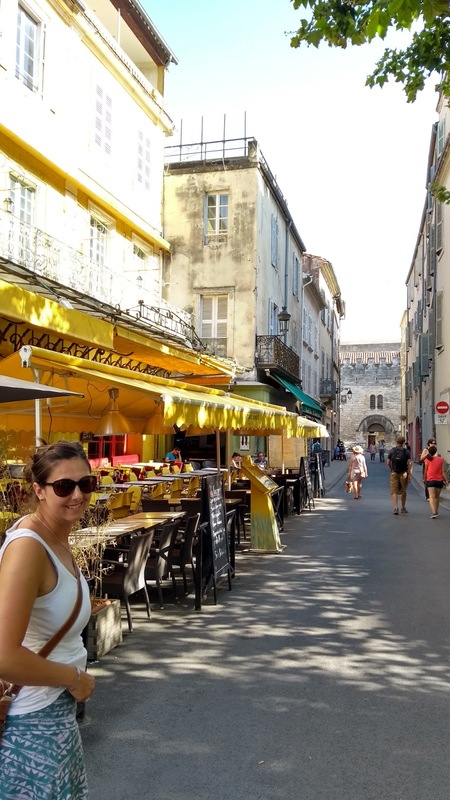 While we opted not to go to any of the museums in Arles (we arrived later and close to closing time for many), our main goal was to walk around and enjoy the city -- and find the various easels showing Van Gogh's paintings to give you a then and now comparison. We loved Arles, and once again found an amazing playground for the Peanut to enjoy! 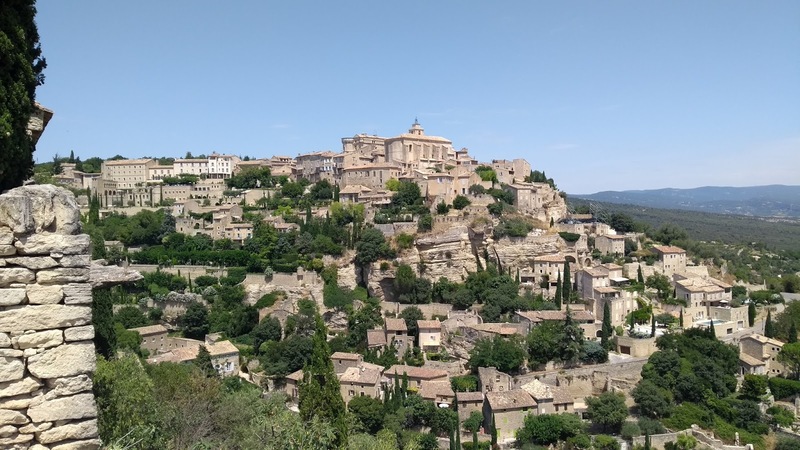 Gordes -- impressive hill town that really only deserves a quick stop to take a picture and enjoy the views, there really isn't much in the town if you don't go on market day but it is on the way to the abbey, so it's easy to pull over and take a quick picture! 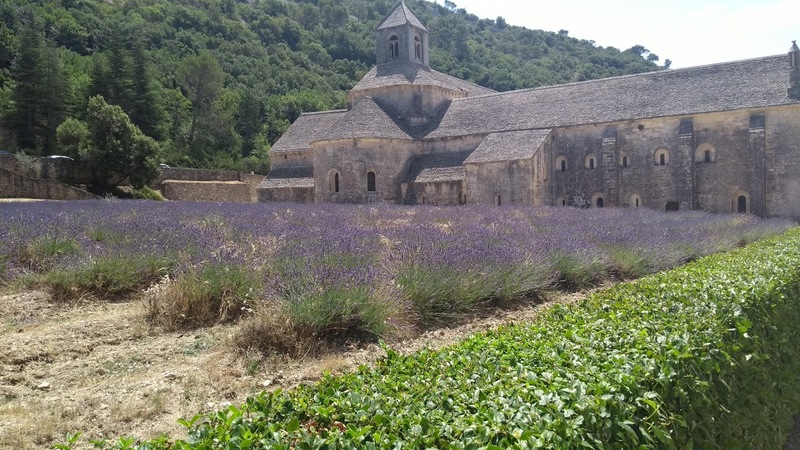 We also then drove some of the famed lavender roads through the region on the way to Manosque and it was gorgeous. Random fields of lavender just off the road, gorgeous tree canopy covered roads... it was awesome! The only downside is that there is really no place to stop and Manosque isn't that great -- a good place to stretch your legs if needed, but not a dedicated stop. 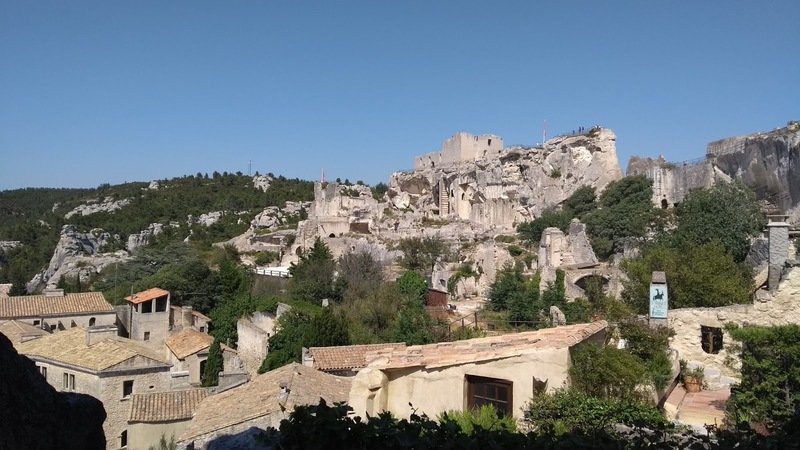 For planning purposes, if you are interested -- we did Pont du Gard and Orange as stops to break up the drive from Marseille/Lyon (so only an hour or two at each place). We did Vaison la Romaine, Les Baux de Provence and Arles in one day (it was a long day). 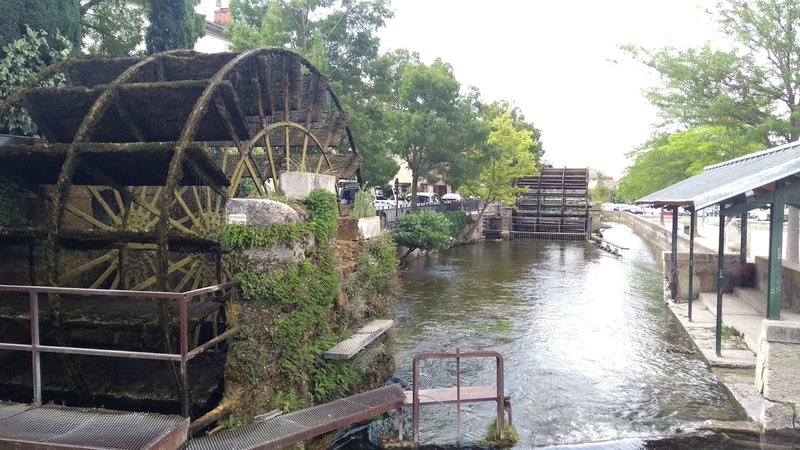 And then the entire Luberon region, including L'Isle Sur la Sorgue, in a day (long car day). Also for those interested -- we did all of this driving and because we mostly did small town and freeway driving, it wasn't terrible (Trevor may feel otherwise as he was driver but....). Most of the freeways had tolls -- you'd get a ticket when you enter the freeway, then pay when you exit, but easy to figure out. Everything was pretty well marked and we were able to navigate fairly easily. The major freeways had amazing rest stops -- playgrounds, multiple restaurants, nice bathrooms. We also found parking fairly easy in most cities we visited, parking lots were easy to find (lots of signs) and not very expensive. And that concludes our amazing trip to Southern France -- it was such an incredible trip and one that we will always remember! *You will notice that we didn't make it to Avignon -- but we sure tried. There was a festival in the city happening the entire time we were in France which made getting there a little difficult with all the people. We drove right past/through the city on two separate days and were unable find any sort of place to park. Then we had planned on taking the train from Marseille, but our toddler needed a relaxing, non-travel day... But that is traveling with a toddler -- always being flexible and adapting! 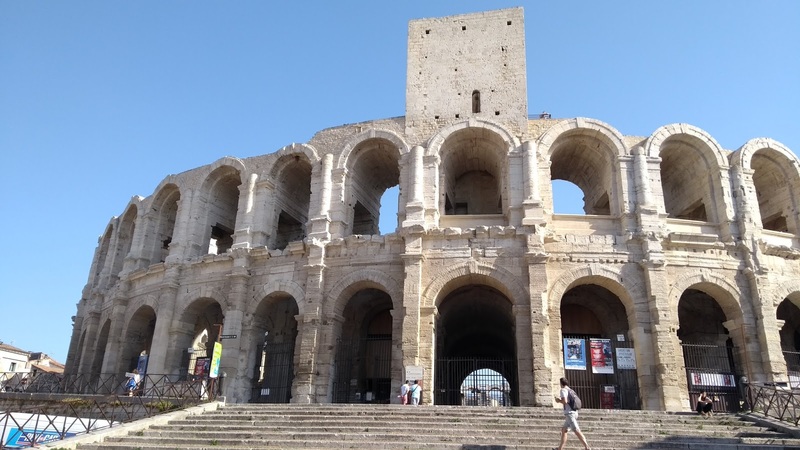 We also did not go to Nîmes on this trip as Trevor and I had both been previously -- but it is definitely worth a trip to see the amazing Roman arena that still is used today.